A bright, natural and beautiful smile is the number one aesthetic concern of most patients. Tooth whitening is a great way of enhancing the beauty of your smile. Tooth whitening (bleaching) is a simple, safe and non-invasive dental treatment used to whiten and brighten the natural tooth enamel. Many things we do in our day to day lives such as drinking coffee, tea and red wine or smoking cigarettes or eating foods such as curries can contribute to tooth staining. At Boston House our dental team are highly experienced in all aspects of tooth whitening and we offer two great options for achieving a brighter smile. Once you have decided on your method of choice, we will then provide you with the after-care instructions to maintain your bright smile. Proven track record of being highly effective, safe and cost effective. Allows for gentle changes in colour which can be controlled on each tooth. Allows you to decide at what point to complete the whitening process (our advice will always be to keep the teeth looking bright and fresh without making them look over bleached and unnatural). This is also helpful as dental restorations do not change colour through tooth whitening and can stand out if the colour of a tooth is changed too dramatically. Minimises the risks of associated tooth sensitivity. 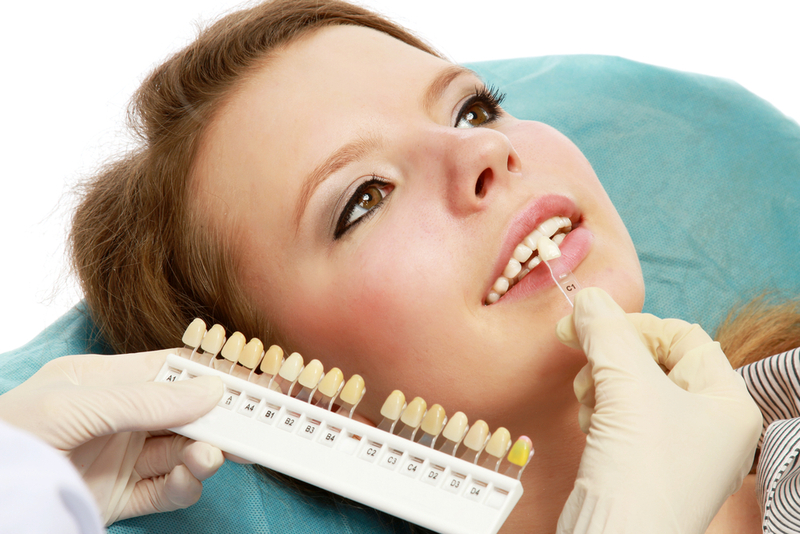 Tooth whitening is not permanent and minor touch ups will be needed every few months. This technique allows for future home top ups conveniently and in the most cost-effective way. As long as the whitening trays are well fitting the cost to you will be the purchase price of the whitening gel. This method requires two visits. In the first appointment your dentist will make a detailed mould of your teeth which are then used to make customised, plastic trays. In the second appointment the trays are checked for fit and comfort and you are given the materials and instructions for the tooth whitening process. We always aim to achieve the best results with the maximum comfort. For that reason and as part of your treatment (and included in your treatment costs) we also offer two review appointments (at the one and two week points). These appointments allow us to monitor the progress of the whitening, make changes to improve the results and deal with any concerns.